Where can I get information on BCFFC? All information regarding the BCFFC is available on this website. Families are encouraged to check the site periodically for updates on our camps. If you have questions that still need answers, please feel free to contact the Coordinator or Registrar for the camp you wish to attend. Your camp neighbours will have also have lots of great information to share during your camp week. Updated camp dates, fees and other information for the coming year will be available on this website prior to the end of each calendar year. 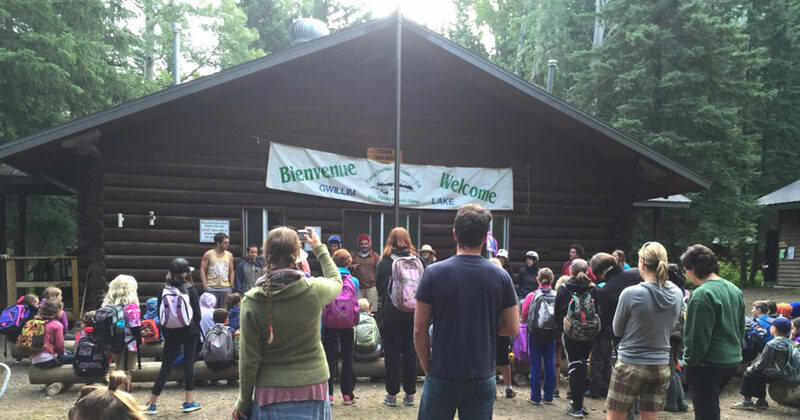 Do we need to speak French at camp? 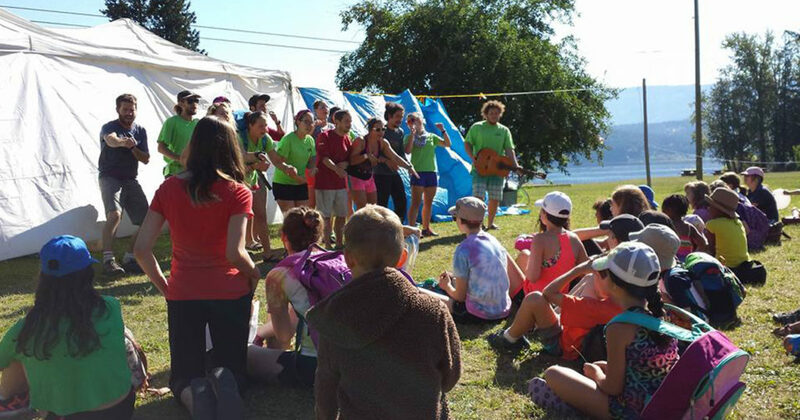 Parents do not need to speak French at camp but children are expected to speak French at all times during program hours. Moniteurs will remind children, but it is also helpful if parents can discuss this requirement before and during their camp week. 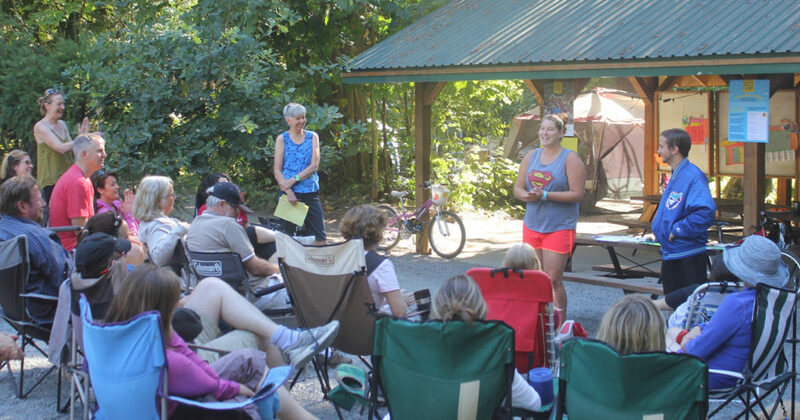 As part of the BCFFC’s guiding philosophies, we want children to learn, practice, and use French in a fun-filled outdoor setting. How many families and children come to BCFFC? 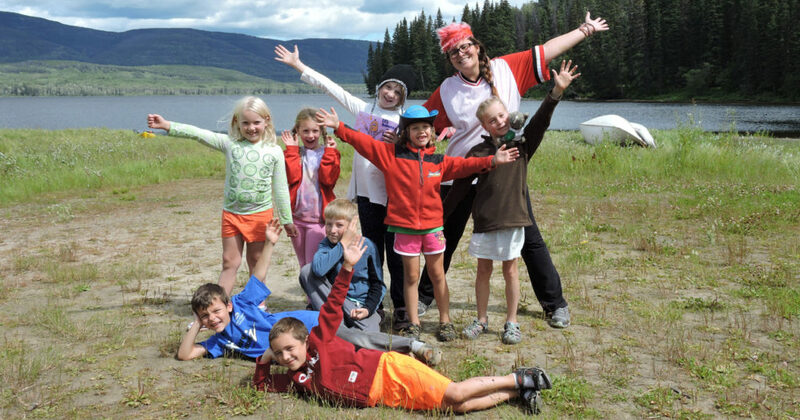 Each summer approximately 350 families and 700 children attend BCFFC camps around the province. Many hands make light work and this is certainly true at BCFFC. To insure a great holiday for all our camp families, it is essential and expected that parents/guardians volunteer during camp week.From field trip driving to picture taking, grocery shopping, recycling, sleep-out supervision… the possibilities are endless and assistance is required.Please attend the morning Parent Meetings and contact the Camp Manager in your week to find out where you will be needed most. 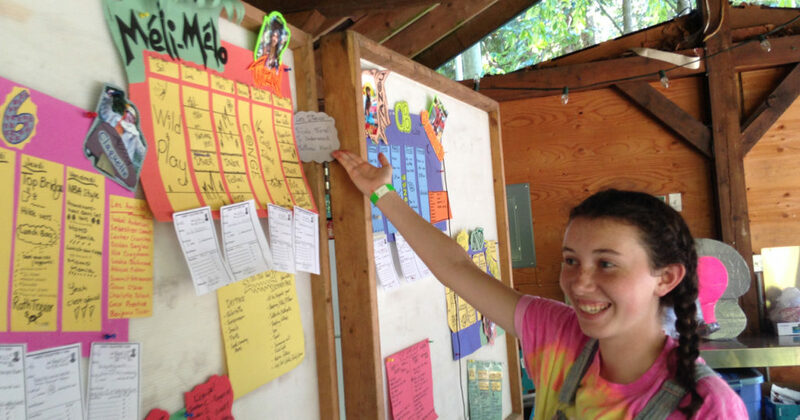 A sample of different volunteer tasks required at camp can be viewed on our Volunteers page. Additionally, any requirements for committee volunteers to each of our camps or to our central committee will also appear on this page. Actual application start dates change slightly each year but usually begin in the third week of January. Check the homepage and registration pages for each camp for this coming year’s dates. All registration applications are completed online using our registration portal. If you camped with us last year, you will receive an email with a link to the portal during pre-registration week. For new registrants, links will be available on this website when general registration opens. Families must fill out their applications including consent forms online. You will receive a confirmation email once you have completed your online registration application. Submission of your online application does not guarantee your placement in camp. Spots in camp and programs will not be reserved by phone or email under any circumstances. Priority is determined according to the date that you complete your online registration application! Families should apply early to avoid disappointment. Some camps fill up within the first few weeks after registration opens. We would love to accommodate all applicants for camp but unfortunately, demand for program space exceeds availability. Can I bring an extra child (guest child) to camp with our family? Absolutely! Extra children (guest children from another family) are allowed to attend camp if there is available space in the programs. Of course, these children must also be currently enrolled in a French Immersion or Programme Cadre program. The parent of the guest child must complete their online registration application. Can my child be grouped with friends from home? 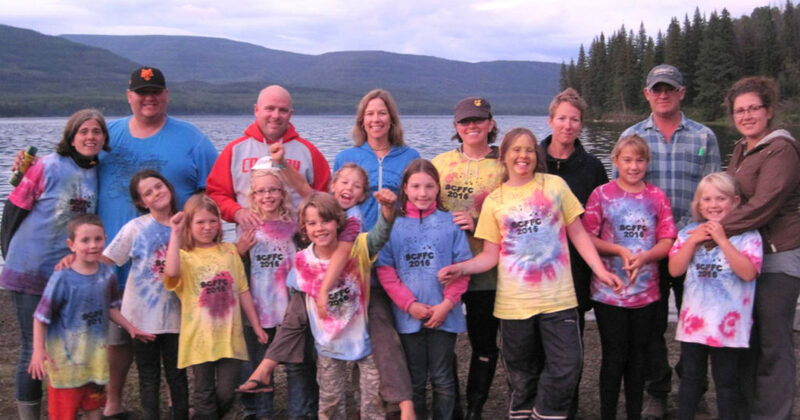 Your BCFFC Volunteer Committees make every effort to ensure every child has a fun and exciting time at camp. If we can and you have made note of buddies at the time of application, we will attempt to place children with a familiar buddy; however, this is often not possible. 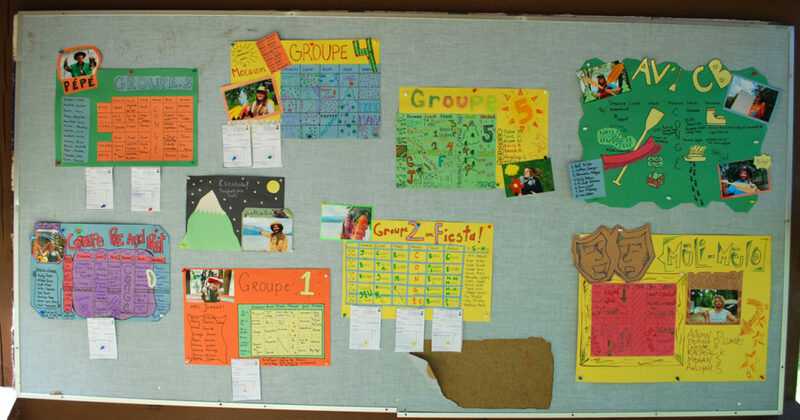 When creating groups, we consider the age/grade of the children as well as male/female ratios per group. We also strive to keep our groups on the smaller size. Please let your children know in advance that buddy request may not be possible. Often requests for a larger group to be together can pose challenges as well. Example: Six friends would like to be in a group together but there is only room to allow four. Which two move to the next group? Example: A group can only take 5 girls and 5 boys. A group of 4 girls or boys would like to be together. Would you want your child to be the 1 child that is not affiliated with “old” friends?Your week at camp is a wonderful opportunity for your children to make new friends. There will be many hours of free time to play with everyone.Groups are formed well in advance of camp start and will not be changed. If you have information you would like us to consider, please do so at the time of application. Will I get the site, area, or services I wish? While we do make every reasonable effort to fill the various requests of our camp families, we cannot guarantee that you will receive the services, area, or site of your preference. Site allocation will depend on the date your online registration application is received, the limitations of the campground, and the speed in which each weeks programs fill. Camp families should be prepared to camp in any area of the campground. Do I need to let the registrar know if I change the type of unit I originally said I would be camping in? Yes please do contact your registrar. Though the campsites shown on our maps appear to be the same size, the maps are not to scale and also do not show obstacles such as trees which can affect which size of unit to be accommodated on a particular site. Trailers with slides or very large units will not fit into many sites at some camp locations. What is the BCFFC cancellation policy? The following policy applies to all applicants that have been confirmed to camp including confirmed registrations for guest children. No cancellation administration fees are charged to families who are on a waitlist or do not have a confirmed spot in a BCFFC camp. 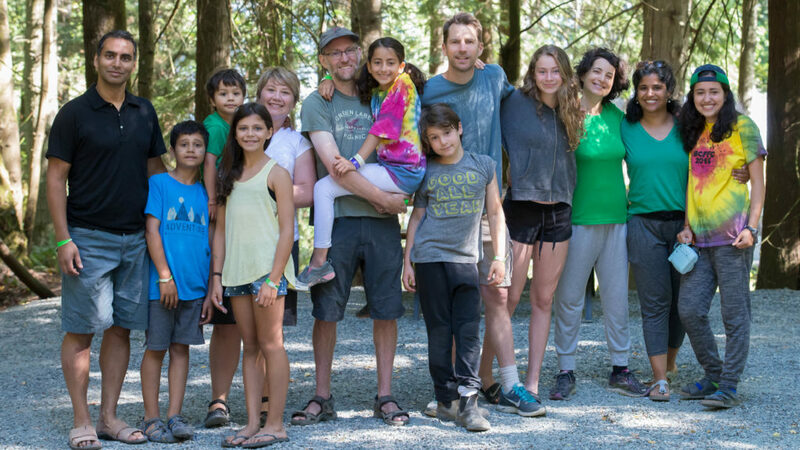 Cancellation from any BC Family French Camp location must be received in writing or e-mail by the registrar of the specific camp. If you cancel before March 1, BCFFC will refund the full amount of your program and camping fees, less a $50 administration fee. If you cancel on or after March 1, BCFFC will refund the full amount of your program and camping fees, less a $100 administration fee. If you cancel on or after May 1, no refund will be granted. 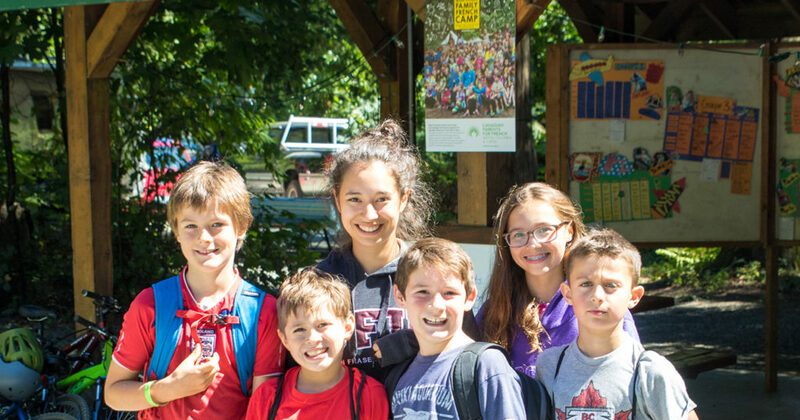 If 14 days or more prior to the start of your registered time at camp, you provide your camp registrar a written letter from a medical professional outlining a reason why your family cannot attend, BCFFC will refund the full amount of your program and camping fees, less a $100 administration fee. If you cancel within two weeks(14 days) of the start date of the camp you are registered for, no refund will be granted. The final decision on refunds granted lies solely with the BC Family French Camp Society. Are there caps on your various programs? Yes, all programs have caps in place. Do I need to order a T-shirt for my children in a program? Each child in a program will receive a free camp T-shirt in the size you select on your application form. Parents may order additional shirts during application and the cost will be added to your camp payment totals. Proof of your existing CPF membership that expires September 1, of the current year, or later is required to attend camp. You will be asked to provide your membership number and the expiry date of your membership when you complete your online registration. For more information about becoming a member visit the CPF website: http://cpf.ca/en/membership/online-membership-management/. Will I get a receipt for my BCFFC fees? No. Please keep your summary of application that will be emailed to you when you complete your application. It includes an attached invoice and summary of fees.